The band was formed out of self-belief and dedication to making dreams come true. They are inspired by an all-consuming love of pop and a vision of a glorious future bedded in everyday reality. Spearmint show how dedication to the soul and spirit of pop really can change the world. Let me tell you how. 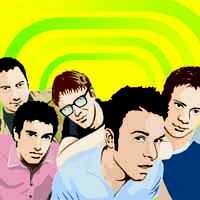 Formed in June 1995, Spearmint quickly pressed up a 7" single, 'Somebody' on their own label, hitBACK. They used an unauthorised Beatles sample which got them a couple of live shows. The followup, 'Goldmine', was released in 1996 sparking interest from Mark Radcliffe and helping get more gigs. Playing scrabble on holiday, rubbing snow in your face outside a north London venue, classic Northern Soul records, mushrooms on toast ("It's willing so you've got the energy, but no too heavy so you can make the jumps and hit the notes"), local shops, windup toys, families, making people laugh, things people can relate to, things that make Spearmint real and observations that make them special. dream by forming a band and making the perfect album. Spearmint have now played in Tokyo, Amsterdam, Paris, Oslo, Newport and Chalk Farm amongst other places. playing scrabble on holiday, rubbing snow in your face outside a north london venue, classic northern soul records, mushrooms on toast ("it's filling so you've got the energy, but no too heavy so you can make the jumps and hit the notes"), local shops, windup toys, families, making people laugh, things people can relate to, things that make spearmint real and observations that make them special. big shout to blondie, the beatles, new order, laverne and shirley, william shatner, bee gees, shirley's brother, marvin gaye, the said liquidator, god's gift to women, flair, big bird, supersaurus, roger's trout farm, the three js. The album is set at Christmas and to get that special atmosphere while recording in a studio in Lincolnshire during a hot week in May, tinsel was hung, Christmas trees were erected and "It's A Wonderful Life" was set to play on loop on the TV. The album is like a movie screen-play seen through the eyes of our hero who is an outsider in the town of English town of Oklahoma! (he's the only homeless and the only black person) He realises that whatever lengths he goes to attract attention (dressing as a cowboy, singing his songs, brandishing his gun), the embarrassed locals look right through him. He begins to feel like he's invisible. On the night before Christmas he wanders the silent snow-covered streets, looking in people's windows. The songs on the album are what he sees. 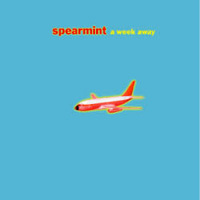 spearmint are back! after a fantastic acoustic-tour in 2004 and a b-sides and rarities compilation now a new and sensational record is going to be released - and it will put some sparkle to the days of this summer for sure. paris in a bottle is a collection of shimmering song-pearls – very british and simply very spearminty. on this album singer and songwriter shirley lee tells us the story of four strangers who’ve spent a night in paris together 11 years ago but havent’t met each other again since. songs with the easiness of a sunshine-day when you sit under a marquee drinking a glas of pernod. guitar- P!O!P!, northern-soul, 60s-smoothness, 80s-keyboard-sounds – little song cocktails that will enchant you instantly. imagine paris in a bottle to be a movie, it surely would feel like blow up taking place at the banks of the river seine. imagine it to be a car then it would be a citroen ds with jarvis cocker in the driving-seat and claudine longet next to him. imagine the album to be food it would taste like a croque monsieur, prepared by jamie oliver. 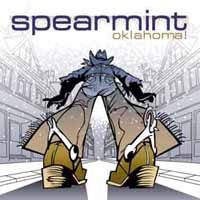 the nme once called spearmint the last real indie-band in the u.k. – und with psycho magnet there’s a song again that will keep the kids dancing in clubs everywhere, jumping up and down with a smile on their lips. well done, spearmint. very well done, indeed! 9 What's Wrong With Breaking Up? the last time i met shirley lee, singer and songwriter of englands finest band spearmint, the rain was pouring heavily in london. we metin a small italian restaurant called presto! near soho. our clothes and hair were wet and we both started to believe that we would be spending the rest of the weekend at home, suffering from our first springtime cold this year. our mood changed to better the moment a young waitress placed two cups of tea on our table. the restaurant was empty so shirley asked the waitress to take a seat next to us because he was fascinated by her haircut and her accent. she told us that she was born in estonia and came to the uk to become an actress. and so we talked about our dreams and plans for our lives, we talked about our values and our hopes. what we wanted to achieve when we were children. when we left the restaurant it was still raining so we took the taxi to shirley's flat. 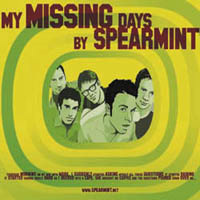 later this evening shirley played the new spearmint album "my missing days" to me. it's an album where the songs take you through a backward narrative - starting at the end and ending at the beginning. songs about values, possesions, figuring out what matters in this world, songs about what you'd do in a given situation. "my missing days" is packed full of girl / boy duets, northern soul energy, brilliant tunes, haunting intrumentals, spoken pieces andsplendid guitars. this album by "the best live band in britain" (melody maker) has the vital P!O!P! of their debut "a week away" (which included the track "sweeping the nation" - a song that was voted one of best singles of all time in two seperate polls in the uk) and thelyrical depth of "a different lifetime" (spearmint's love-story album which was reviewed as "a flowering, a joy to behold" by uncut magazine). the next morning i was walking the streets of soho again. and when i saw presto! i decided to visit it again. i gave a copy of "my missing days" to the young waitress, enclosed a small card with one of my favourite quotes from shirley "as long as you stick to what you believe in everything will come to you". 'love is a finite thing', says spearmint singer shirley lee, 'it will always end'. a different lifetime, the follow-up to spearmint's debut-album a week away, deals with the feelings of endings and beginnings. love can be the most beautiful thing in life and breaking-up can be devastating; sometimes love hurts and waving good-bye makes you feel good. the recordings for a different lifetime featured live strings and pete hofmann (producer of albums by gene and black box recorder) took care of the production. the result combines beauty and hope as well as grief and despair. an album so diverse and surprising as life sometimes can be. you'll come to discover: life is sweet and everything feels new - when there's someone to look up to. the people you love might change over the years - but there are songs that might accompany you forever. 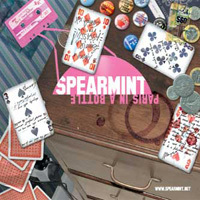 almost ten years ago, SPEARMINT released their indie P!O!P! classic "a week away" - an album that both music lovers and press were celebrating. "one day spearmint will be hailed as gods“ the british NME was writing a decade ago and indeed: good things come to those who wait. 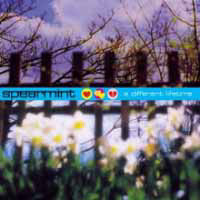 Spearmint are playing sold-out concerts and are mentioned by Paul Weller or young bands such as the Cribs in interviews. Now, they fantastic album A WEEK AWAY is released as special edition! Remastered and with 11 (!) bonus tracks. 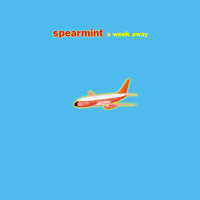 this is not a b-side, this is a future album track - spearmint, lately crowned by NME to be one of the last great indie-bands , are known for albums with complete stories. Topics like London at the weekend, christmas in a small english town and the chronicles of a great love have been told song-by-song by shirley lee, the singer of spearmint. The current album is now a collection of short stories, which have been written in the past five years, tracks for singles, eps and compilations, which have been recorded knowing they will be part of " a leopard". 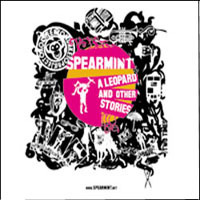 "A leopard and other stories" is a typical Spearmint album, full of P!O!P!, northern soul, british humour and london sopisticism and as always a release of a new single will define the word "floorstomper" anew. "The whole summer long" sounds, as if "take that", "the jam" and "pulp" recorded a birthday song for nick hornby. "This is a souvenir" is a tribute for "pavement" and recalls memories to sweeping a nation. Songs like "beautiful things" and "meet mr marsden" are spearmint live-classics. That's entertainment, folks! The album 'My Missing Days' (# 27392-2/-1) was surely the P!O!P!-highlight this summer. Now SPEARMINT release 'Left Alone Among The Living' as the first single. This song is guaranteed to fill all indie-P!O!P! dancefloors instantly. A hit-single having more soul than James Brown, with wittier lyrics than anything Jarvis Cocker (Pulp) has written in his life, a melody as catchy as a song by The Kinks - and a production that would leave Phil Spector speechless. Contains two unreleased tracks from he "My Missing Days"- Session. Colored vinyl and strictly limited to 800 copies worldwide!